Pagan controversy in the Isle of Man? Following the recent news of the apparently hate-motivated vandalism of the statue of Manannán Mac Lir (apparently) by christian fundamentalists in Northern Ireland, another controversial tale of interference with modern pagan practices has emerged from the neighbouring Isle of Man: On 15th December 2014, the local news media reported upon the furtive and (to some) unwelcome removal of the ‘devotional’ objects from the Island’s (in)famous ‘Fairy Bridge’ on the main road between the towns of Douglas and Castletown. The bridge, has proved increasingly popular over recent years as a site of pilgrimage for locals and visitors seeking to honour their dead friends and relatives or appeal to the denizens of the Otherworld for protection in their endeavours. 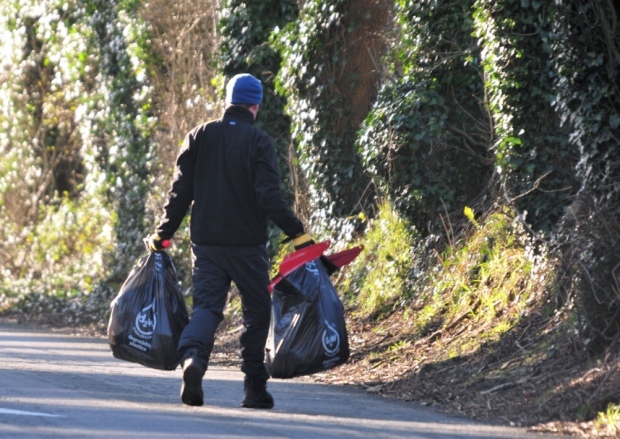 Typically, visitors attach notes, gifts and mementoes to the trees next to the bridge. It has become something of a regular and increasingly exotic destination on the Island’s tourist trail, especially around the time of the Island’s awesome, otherworldly and dangerous TT races – the last great contest-ground of those timeless Celtic Heroes. 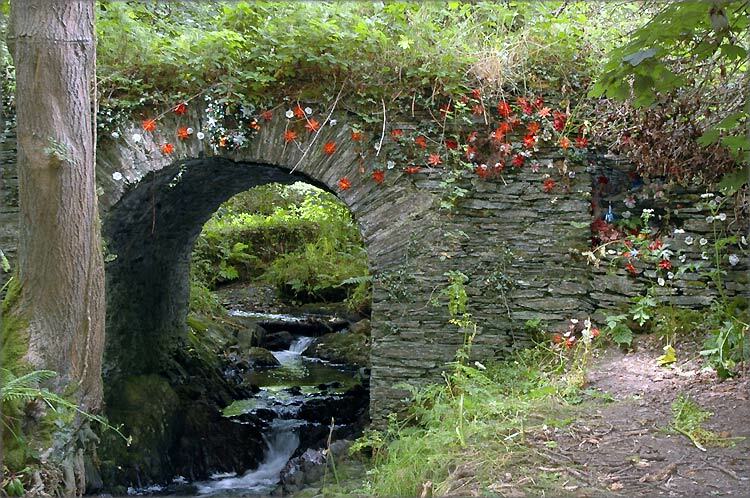 The Isle of Man’s popular ‘Fairy Bridge’ – more than just a tourist destination. The bridge after the removal of the devotional material. The ‘real’ fairy bridge shrine at Ballalona. Here with recent decoration. Now ‘desecrated’ too? The ‘Real Fairy Bridge’ is by no means a ‘public’ eyesore, lying as it does off of a secluded footpath in woodland away from civilisation. It has remained a place of quiet reflection and wonder, cluttered with tiny toys in memory of dead children, ribbons tied in memory of friends killed in road traffic accidents, or taken by illness. Candles and coins could until recently be found lodged between the crevices in the stones of the bridge, which was a favourite haunt for young people and families holding vigils of remembrance for their loved ones – believed to reside in the Otherworld with the spirits locals euphemistically and obliquely refer to as ‘Themselves’ (‘Them’s Elves!’) and the ‘Good People’. So… is removal of such items merely a common vandalism of a magical expression of innate spirituality, or a recognition of proper respect for the Island’s somewhat conservative fairies? 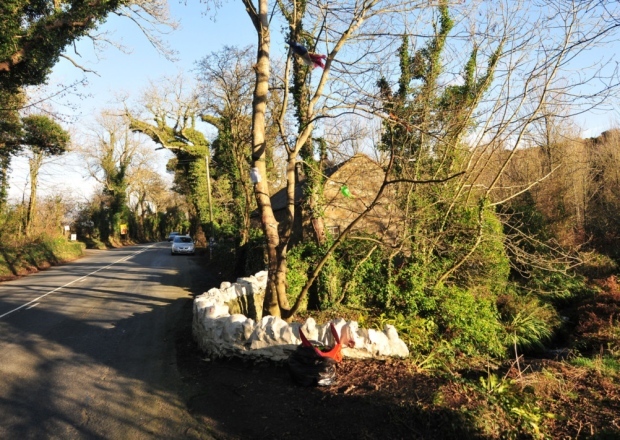 Either way, the ‘cleaning’ of the fairy bridges has been deemed as sacrilegious and offensive by some locals, as it has been seen as an act of restitution by others of a more conservative persuasion. 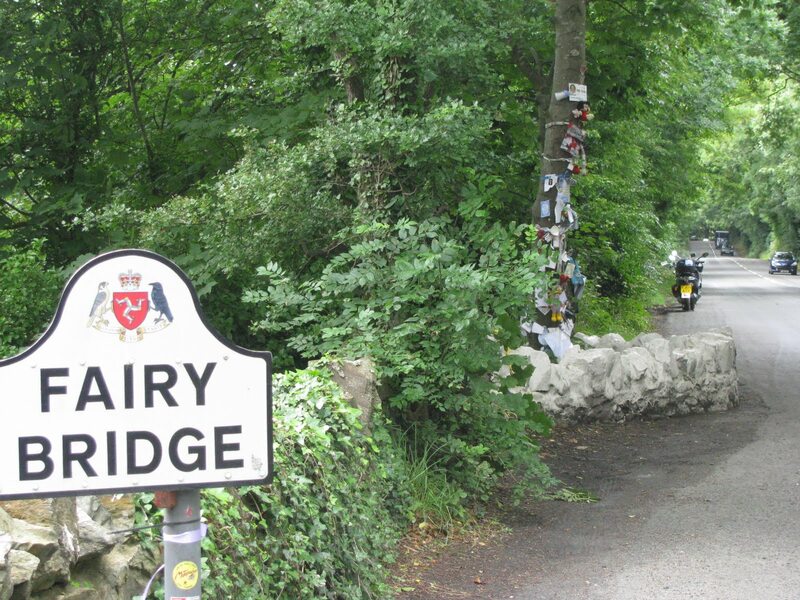 The fairy faith still enjoys a strong undercurrent of belief among the indigenous Manx peoples and perceived imported ideas about attaching devotional items to ‘their’ bridges and wells do not apparently sit well with some of the population. In the light of the Manannan statue desecration, it would be easy to blame a shady group of presumably christian fundamentalists who are seeking to destroy emergent pagan devotional sites. However – like the nature of the Good People themselves – the truth may be stranger than we first think: This is, after all, the Island which still claims a common belief that Manannan is their god, and is the place where Gardnerian Wicca was largely founded, although that was another controversy for the locals in itself, as Gardner paid little heed to the Island’s genuine vestiges of true ancient Atlantic religion… The trees and bridges will no doubt flourish their messages again soon. What would ‘Themselves‘ or the ‘Little People‘ think of it, I wonder? Has anyone actually asked them?